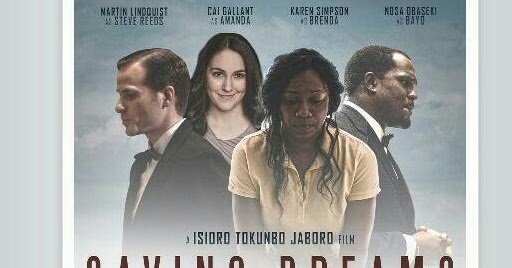 Celebrated producer and multiple award movie maker Lancelot Oduwa Imasuen has endorsed Isioro Tokunbo Jaboro’s New Movie “Saving Dreams” starring Nosa Obaseki, Karen Simpson and other great actors. Lancelot, who is still basking in the euphoria of his historic MoU signing with The Igbinedion University Okada, Benin City for his Nollywood Project 101 which heralded The Benin Film Academy, said he is throwing his weight behind Nosa Obaseki who played the lead role in the movie and also looking forward to the movie that was shot in Canada and has already won 17 awards globally after few weeks of its international release. 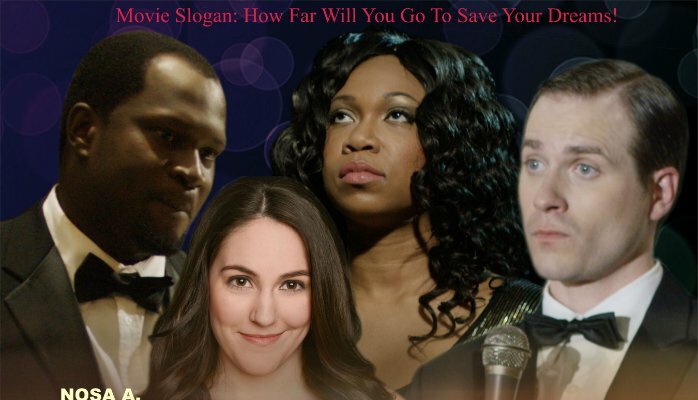 Saving Dreams, a dramatic thriller based on real life events with humor and depicts how far a person is willing to go in order to save their dreams will hit the Nigerian Cinemas starting January 20, 2017. Blessed with talented actors like Nosa Obaseki, Toronto-based Nigerian actor, who has also featured in movies like; Adesuwa, Enogie N' London, Agbowu Obama, before he left for Canada and super stars like Karen Simpson, Martin Lindquist and many more. Brenda Jackson (Karen Simpson) with dreams of stardom, marries a powerful man, Steve Reeds (Martin Lindquist) who promises to introduce her to people in the music biz. But instead, he abuses her while running a foundation that protects abused women. Surprisingly, he asks her to sing at a fundraiser for his new foundation. At that banquet, she meets Bayo Franklyn, (Nosa Obaseki) a Nigerian Immigrant who is a music producer who gives her his card. When Brenda stumbles into Reeds having an affair with Amanda Brook (Cai Gallant). Brenda takes that opportunity to make her escape. Now on her own, she starts a new life and reconnects with Bayo who gets her a record deal. Brenda’s song becomes a hit. Relieved, Brenda and Bayo make plans for their wedding, but Reeds has one more secret in his sick arsenal that may pierce their future happiness forever.